Overview: This course aims to introduce students (from Computer Science, Electrical Engineering and Mechanical Engineering) to the concepts of unmanned aircraft modeling, state estimation, control, as well as into the very basics of motion planning. In particular we will derive the models of unmanned rotorcraft, introduce the concepts of Kalman Filtering for linear and nonlinear systems, methods for closing the loop with stability analysis as well as basic algorithms that robots can employ to efficiently navigate in their environment. The final section of the course is about the collective design - first of all in the classroom - of the algorithms that enable an aerial vehicle to become an autonomous aerial robot. This effort is supported by an open-source simulation and the students will have the opportunity to implement their designs and ideas. An Online Textbook with a more comprehensive overview of specific topics. Relevant simplified Python and MATLAB examples found as part of the Online Textbook. 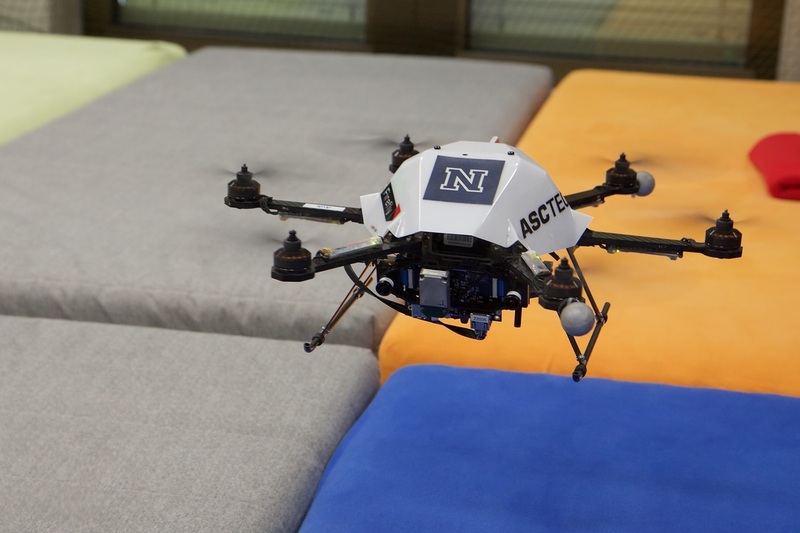 The RotorS Open-Source simulator developed at the Autonomous Systems Lab at ETH Zurich. Proposed books and further literature.